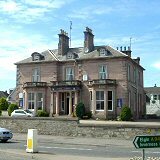 The Laichmoray Hotel is situated in the heart of Elgin, within walking distance of the centre. 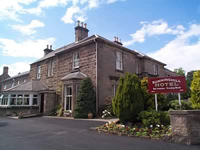 The Hotel has 34 bedrooms which are individually styled, ranging from single rooms, adjoining family accommodation to traditional 4 poster rooms. 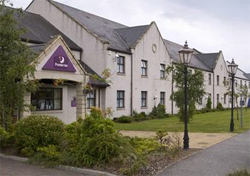 Eight Acres is the largest hotel in Speyside, offering a wide range of first class accommodation with newly refurbished bedrooms and public areas. Situated on the western approaches to Elgin, it is approximately 1 mile from the centre. The Royal Hotel is an 18 bedroom hotel with a loung bar, resturant. and terraced area to the front of the hotel. The main building houses the lounge bar, with seating for 24, the resturant with seating for 50, terrace and 10 letting bedrooms made up of 6 family rooms and 4 twins. The annex which was built in 1997 has 8 letting bedrooms made up of 4 doubles and 4 twins. All bedrooms have en-suite facilities. The Sunninghill stands imposingly in its own grounds not far from Elgin's main shopping centre, and is within easy walking distance of the city's commercial heart and all amenities. All rooms have en-suite facilities, colour televisions, radio alarms, tea/coffee makers, hairdryers and direct dial telephones.